Once again, this paper was originally written according to Classical Writing outlines and essay structures. Mrs. Weitz kind of let us loose for the last week and allowed us to write about anybody or anything we wanted, movie characters included. : ) To be honest, I was a little liberal with the comparison essay structure. The "deeds" paragraphs don't really describe the achievements of the characters so much as my speculations on the character progression and development. Still, this is probably one of the most insightful and reflective movie reviews you'll ever read, in my humble opinion. Without further ado, my classical review of two of history's best movies ever. The most intriguing heroes to our society are not the ones with flawless physical attributes, nor are they the ones who must overcome no barriers to achieving their greatness. Rather, we are fascinated by those who exceed our expectations, surpass their ancestors, and succeed in spite of their natural limitations. Humans are drawn to those who, like them, must grapple with their own weaknesses and fallen nature. Hellboy and Shrek are two fictional figures who embody the concept of the physically flawed and emotionally tormented hero, who throws off the shackles of Fate to create his own destiny and truly become a man. At their fundamental level, both characters are monsters. Hellboy is a living demon, who escaped from the Inferno after a failed Nazi operation in 1944. Adopted by a professor of the paranormal, he is raised as a regular human and confined to the headquarters for the United States Bureau of Paranormal Research and Defense. 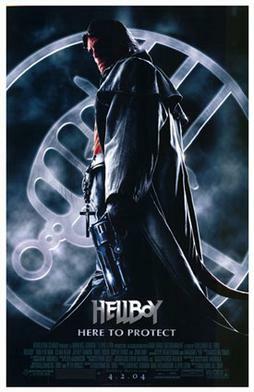 Hellboy’s knowledge of paranormal creatures enables him to fight and subdue them, and despite his heritage he becomes a resourceful ally for the human world. Shrek, a green ogre who presides over a swamp, has a more ambiguous background, although the reputation of other ogres clearly led human beings to fear and disdain him, treating him as little more than a bloodthirsty animal. The most obvious line one can draw connecting Shrek and HB is their outer appearance and ugliness. Both resemble what the eyes perceive and label a monster; Shrek’s massive size and menacing teeth create a frightening figure, and try as Hellboy might to fit in by filing his horns, his stature will always appear demonic to spectators. In both instances, people react the same way to these characters: with hate and apprehension. In a humorous scene from the movie, Hellboy tries to board an underground subway after a violent hellhound rampages through from one end to the other. Reaching his arms over the ledge, he tries to appease the conductor, saying, “I’m on your side.” The man greets him with a heavy object to the skull. While the scene has no long-term significance, it establishes that the story’s protagonist is not treated warmly by the world, no matter his heroic deeds. A more somber scene later on illuminates the very predicament of Hellboy’s existence; in a heated argument, the director of the FBI exclaims the apparent truth: “This whole thing is a farce, because in the end, after you’ve killed and captured every freak out there, there’s still one left: you.” This causes Hellboy to grapple with his own emotions and question who he really is. Shrek is received in much the same way by the world outside his swamp. The film opens with an expedition by several townsfolk to go and “slay the beast” with their torches and pitchforks. Anti-ogre sentiment is displayed throughout the movie, and Shrek is frequently judged only by his outer appearance. Hellboy and Shrek are both unfairly stereotyped by the peoples of their fantasy universes, but their characters differ significantly in that Shrek is more critical of himself, believing for a while the horror stories spread about him. He accepts the position that society has assigned him, and resigns himself to be forever a monster and never a hero. This is due largely to his voluntary life of isolation and exile; until Donkey comes along, Shrek has no close friends and no one who recognizes his good qualities. Hellboy grew up in a family, and as a result has a higher esteem for himself. On the other hand, when HB hears deceptions from other demons, he struggles with his own identity and transforms somewhat into the role Shrek occupied formerly, a depressed creature who doubts his own capacity for goodness. At the climax of the first movie and throughout the second, Hellboy ponders just how different he is from the monstrosities which he fights, and wonders whether his origins prevent him from truly having a choice in what life he leads. The difference in the two heroes can be summed up this way: Shrek initially doubts himself, but realizes after an adventure that his own virtues, not society’s opinion of him, define who he is. Hellboy, confident to begin, takes many of his choices for granted, but comes to wrestle with his own nature after maturity. Being confronted by visions of himself as a servant of Chaos, he wonders if he can really choose his own fate in light of his lineage. The themes of both characters’ stories are ones of free will and opportunity, even for the most ill-fated of God’s creations. For a long time, Shrek hopelessly permits humans to decide his defining image, even though he has a heroic heart. That changes when Lord Farquaad inadvertently sets him and his “noble steed” on a quest to rescue a princess. 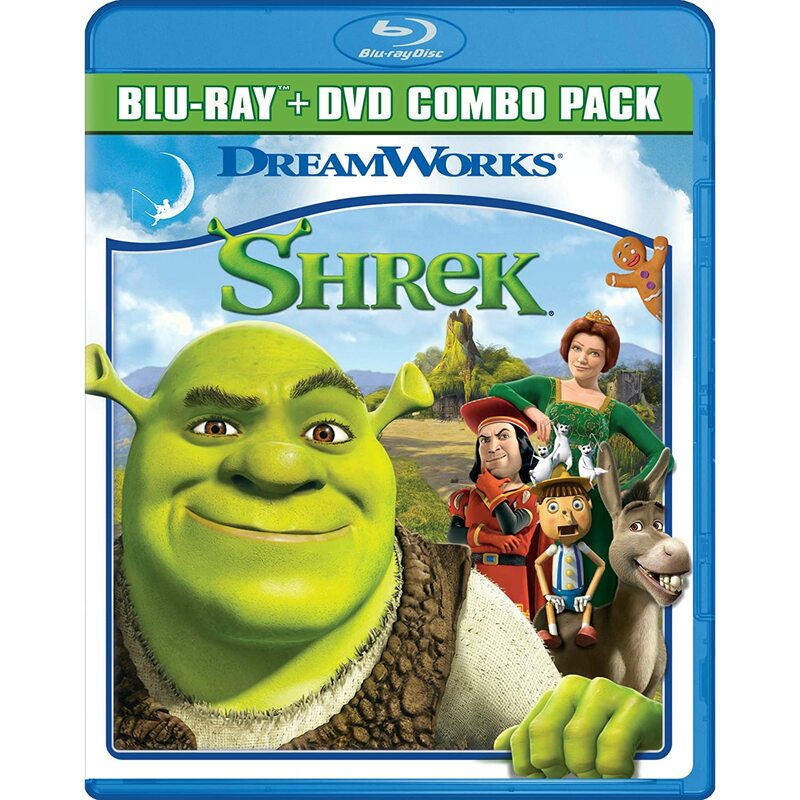 Over the course of this journey, Shrek determines that his character is not ultimately dictated by other people, and that he is in charge of his own destiny. He need not be a stupid, ugly ogre if he does not want to bear that name. Hellboy’s enemies often attempt to bring him back to the dark side of the heavenly war, by calling out his detachment from the human world. In the first film, they almost succeed in making him literally unleash Hell upon Earth, but HB remembers the Catholic sign of the cross around his neck, and in that moment he grasps that he has a choice in what life he leads, no matter the evil of his ancestors. In conclusion, Hellboy and Shrek are both profound symbols of any man’s power to decide his own destiny. If Fate ever designated anyone to be a villain, Hellboy and Shrek would have been doomed to evil paths, but through Free Will they established their own identities as heroes, not as monsters, but as men.